Foundry 72 respects the privacy of its consumers and users. If you have any questions about the operation of our website, please write to hello@foundry72.com. Our website collects names, email addresses, and other personal information from consumers and users only when submitted via one of our online forms. This data is used solely by Foundry 72 and is not shared, traded, or sold to third parties in any way. Our website collects user IP addresses for analytical purposes. An IP address is a number that's automatically assigned to your specific network when you use the Internet. We may use the collected IP addresses to diagnose problems, to enhance this website, analyze user experience, and to gather broad demographic information - all for the purpose of continually improving our website and delivering personalized, useful, and custom content. IP addresses are not linked to personally identifiable information, and their collection is standard practice for most web server environments. Our website may contain links to other websites.  Please note that if you click on one of these links, you are entering another website for which Foundry 72 is not responsible and from which Foundry 72 does not collect data.